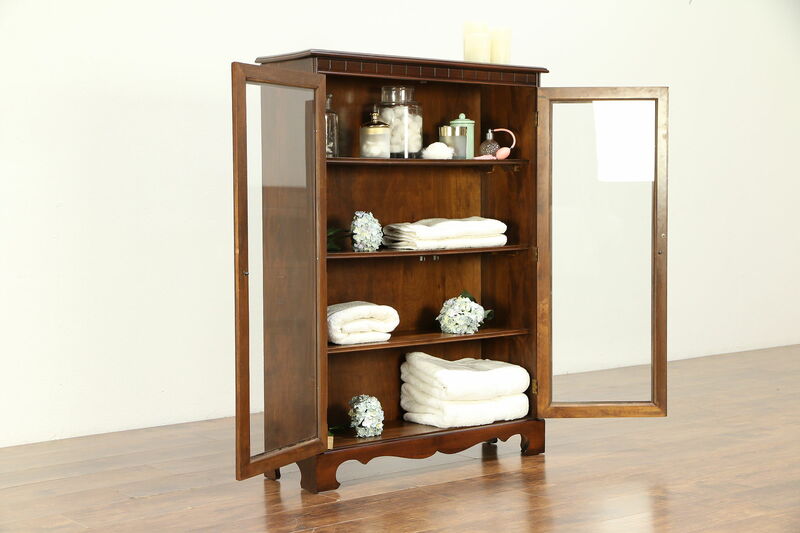 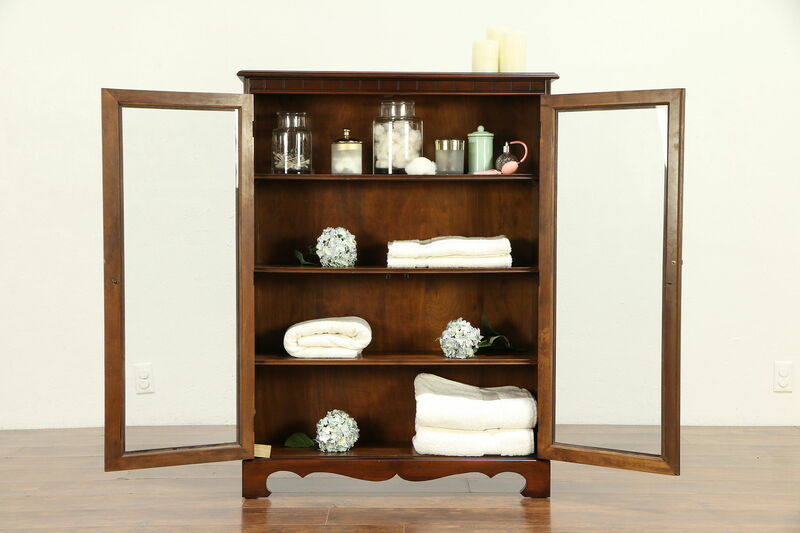 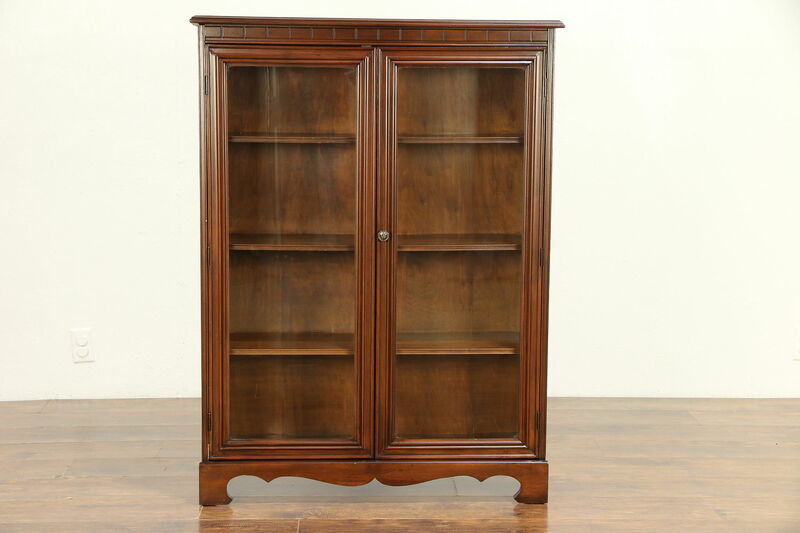 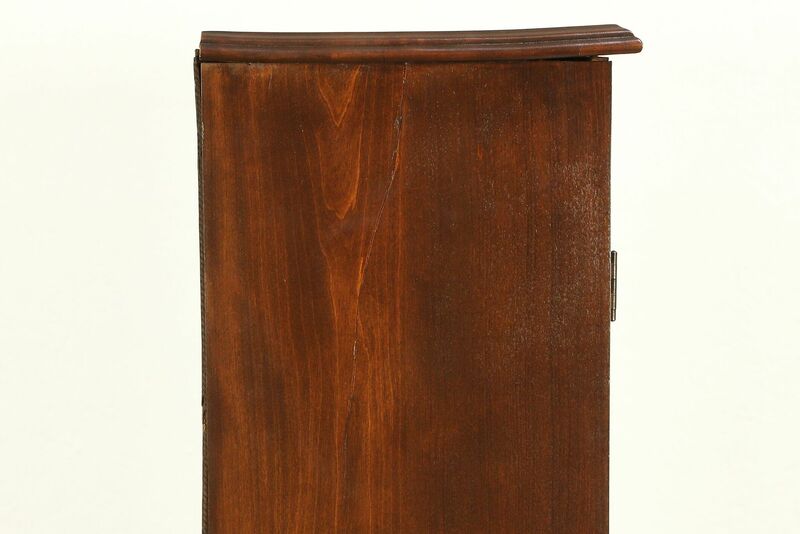 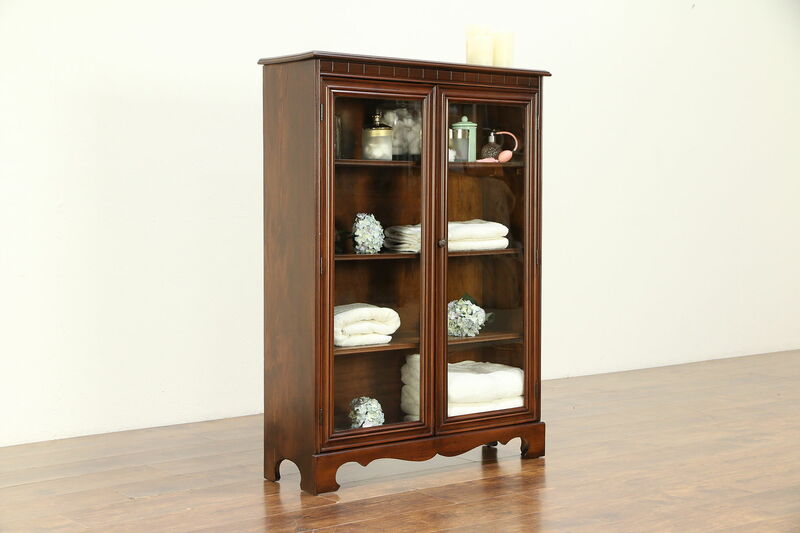 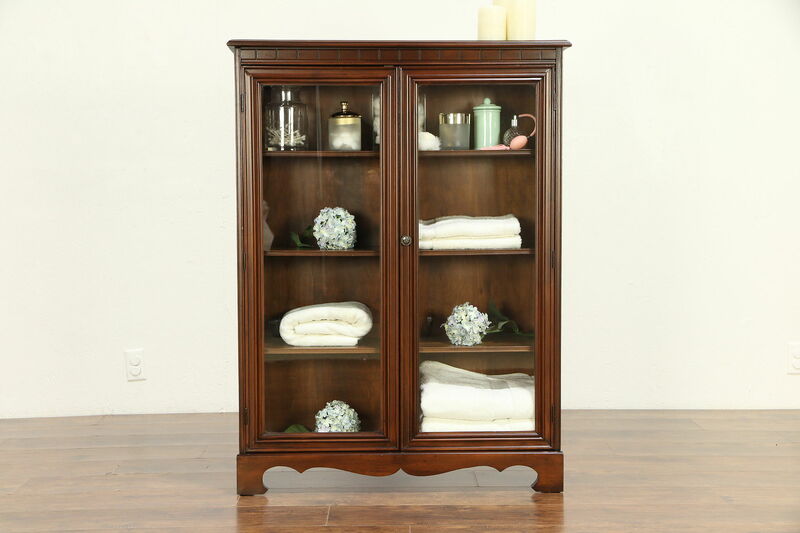 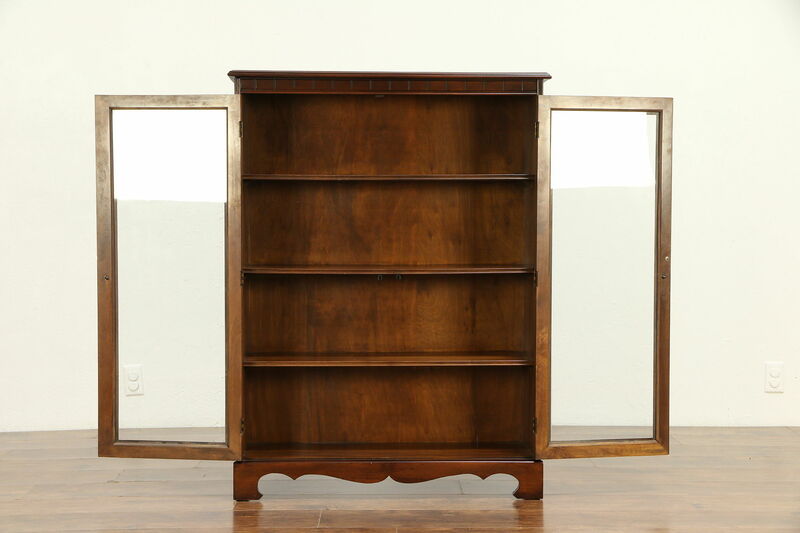 A traditional bookcase or bath cabinet with two glass doors is solid birch hardwood and dates from about 1925. 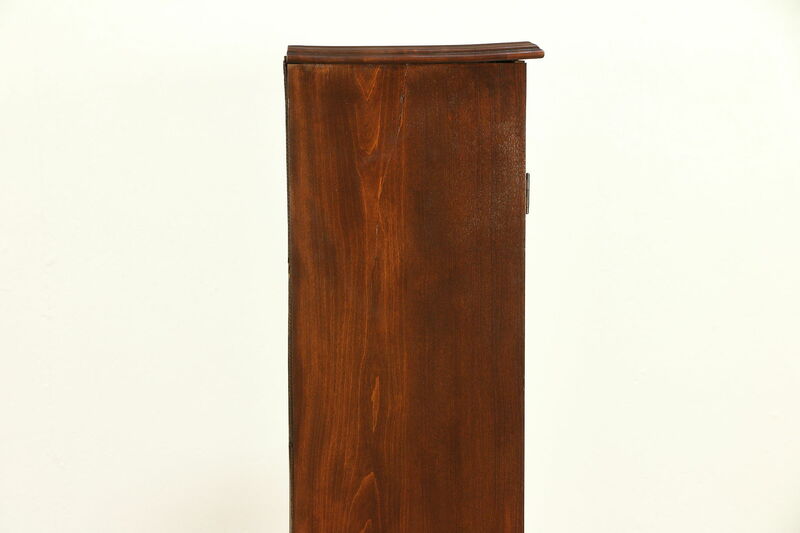 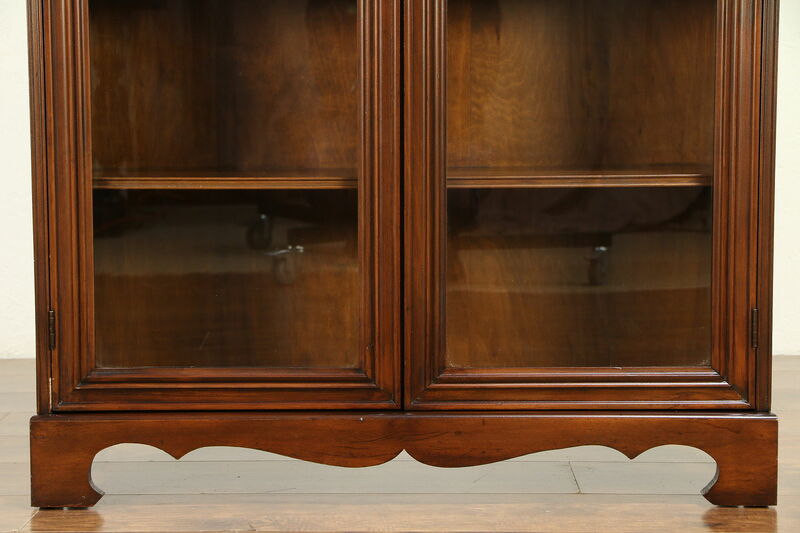 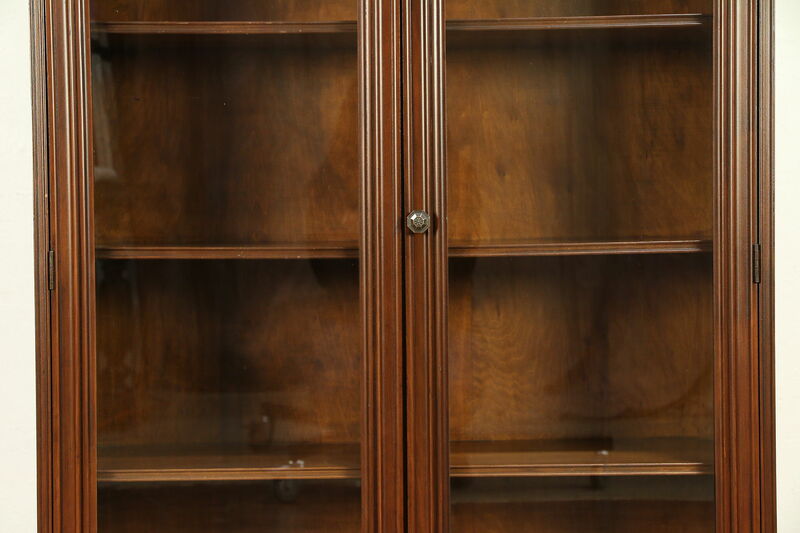 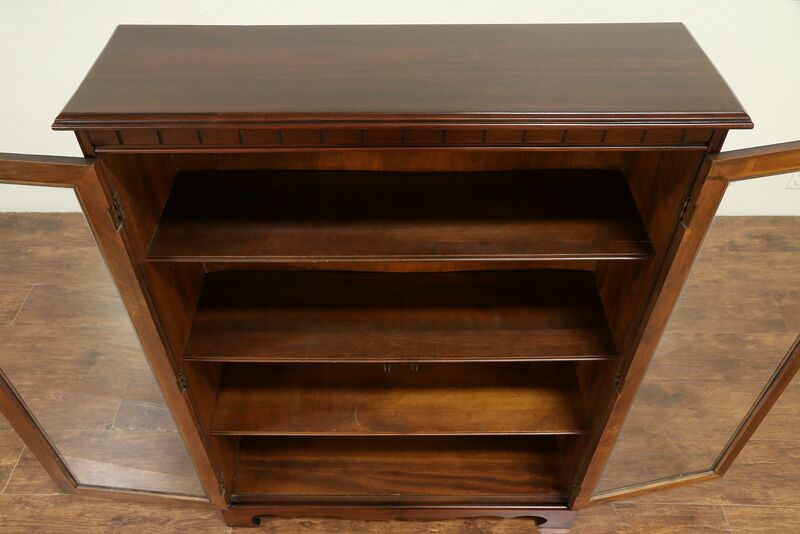 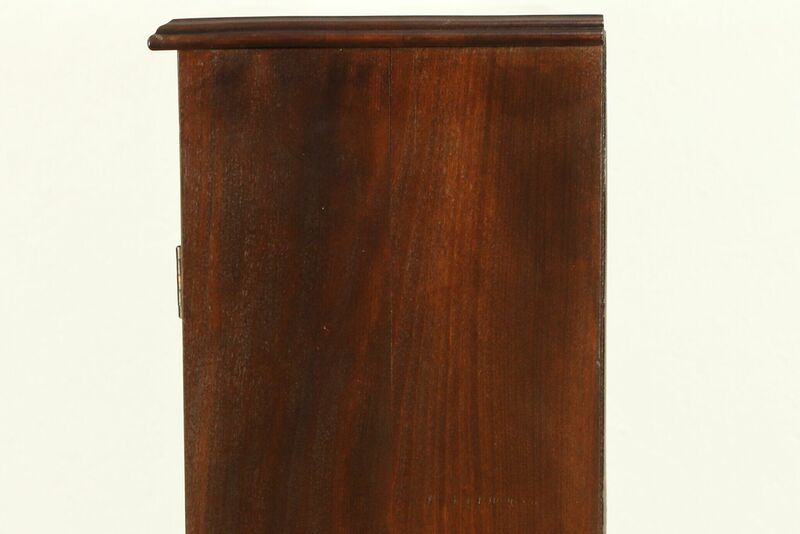 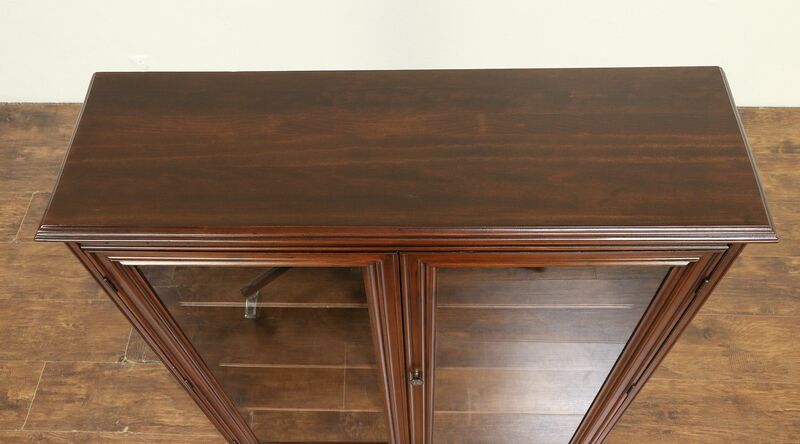 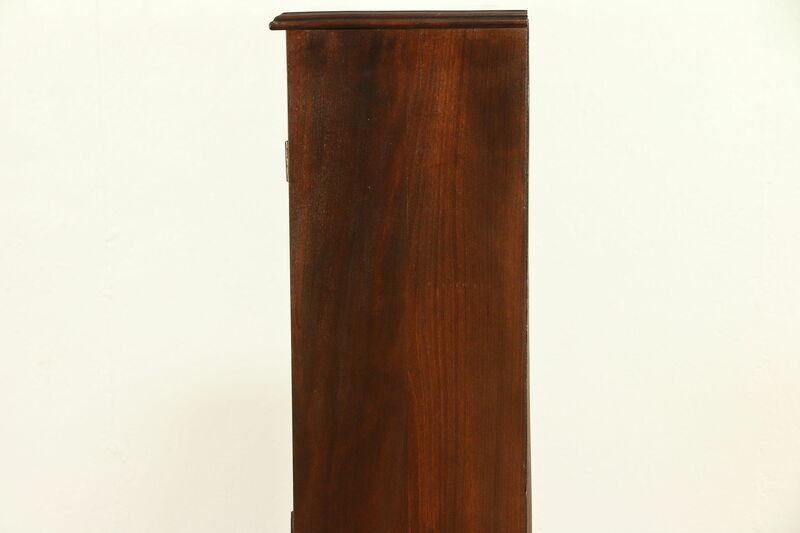 The restored walnut toned finish is in excellent condition on this American made antique library or office furniture. 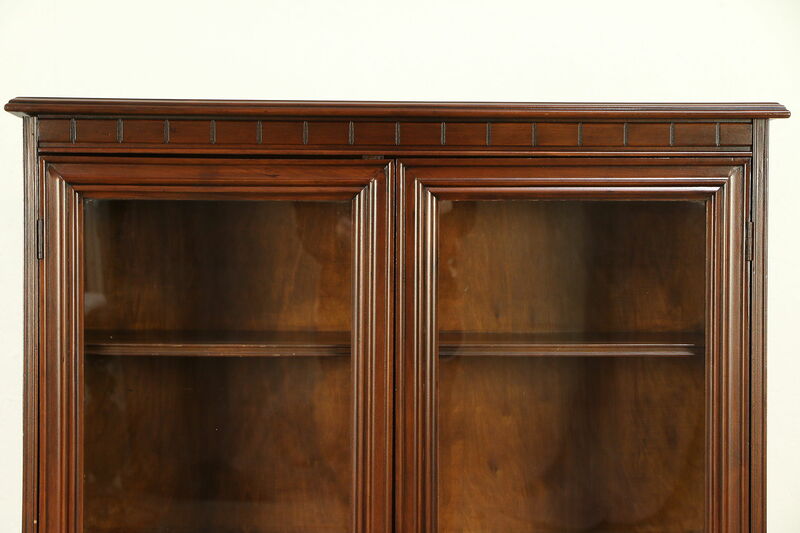 Both sides have shrinkage separations from age, see photos. 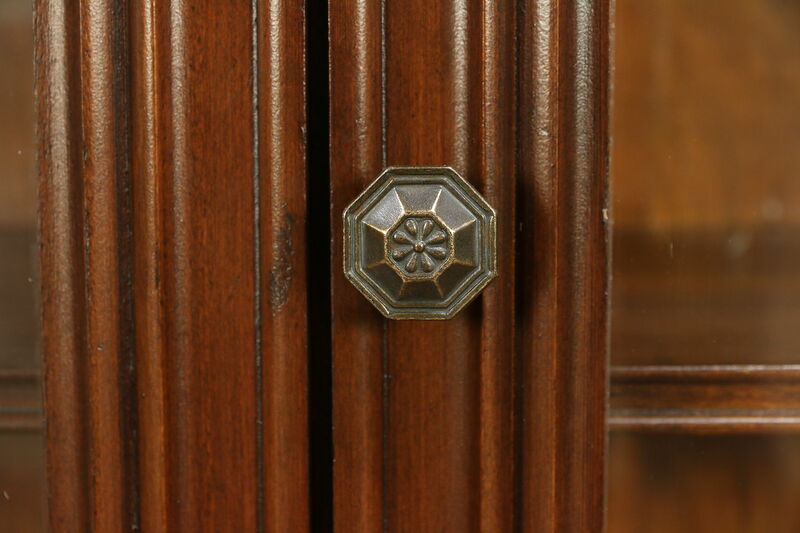 Shelves are not adjustable, the knob is original. 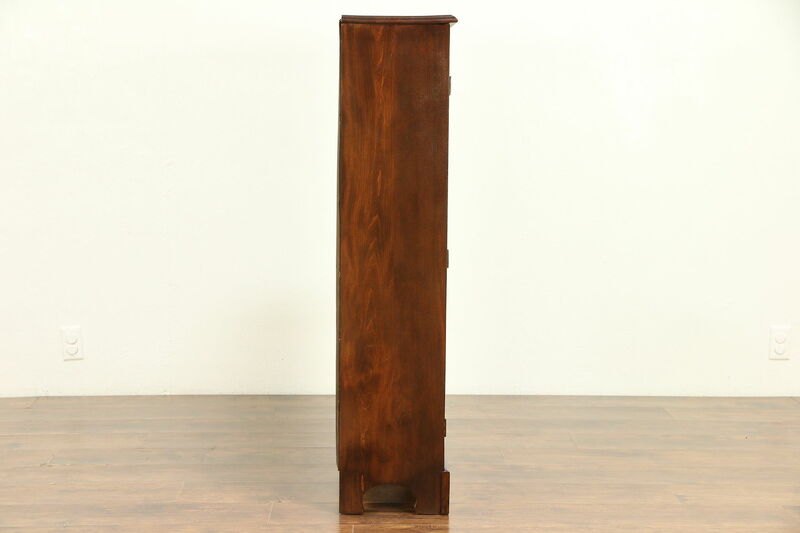 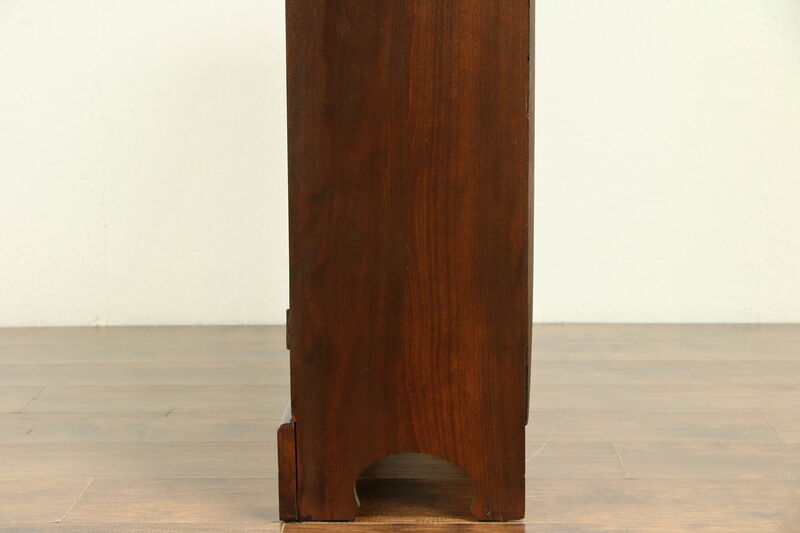 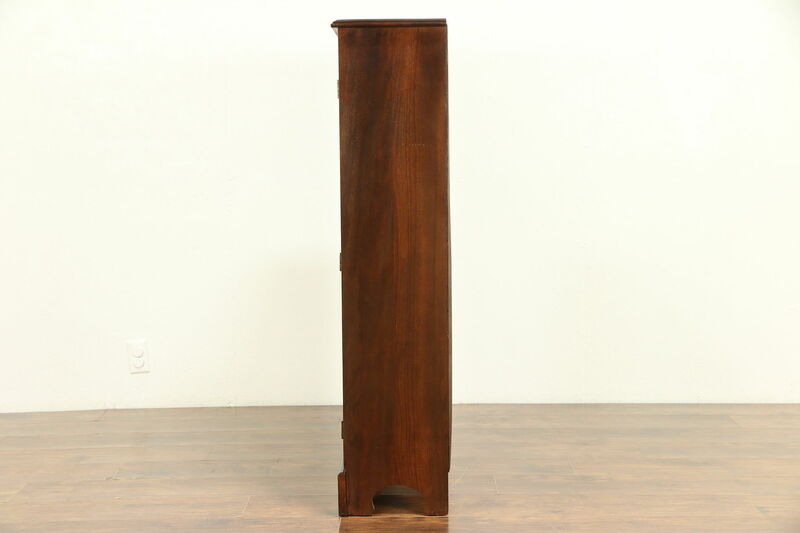 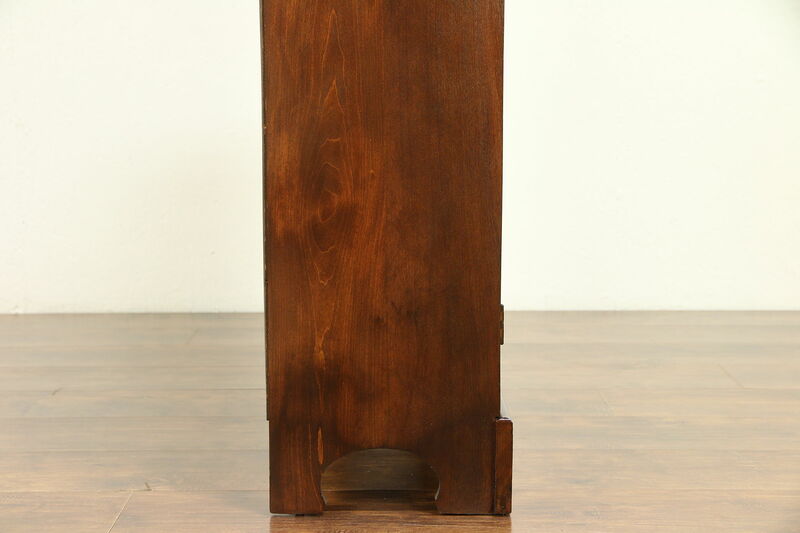 Measurements are 30" wide, 11" deep and 48 1/2" tall.